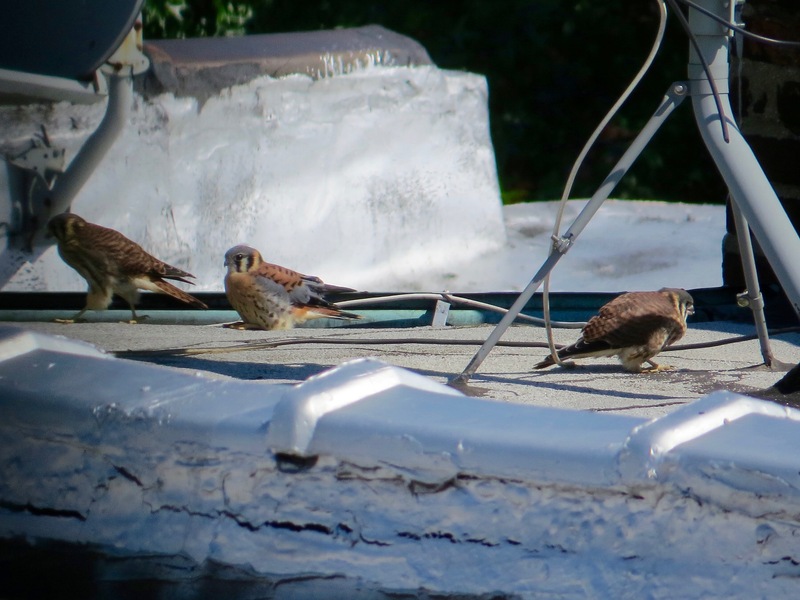 The nation might be on the cusp of something horrible, but we’ve still got American Kestrels across the street, so full falcon ahead! 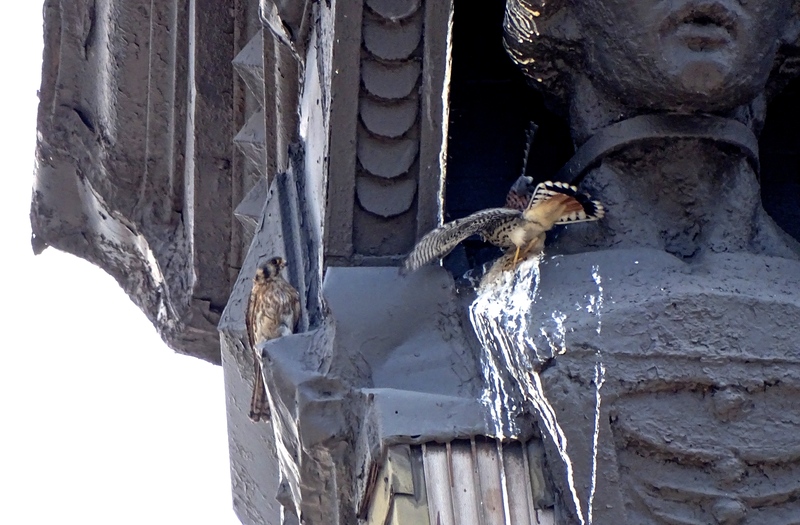 It looks like there are two females (one is above) and one male in this year’s fledglings from the bodega nest down the corner. 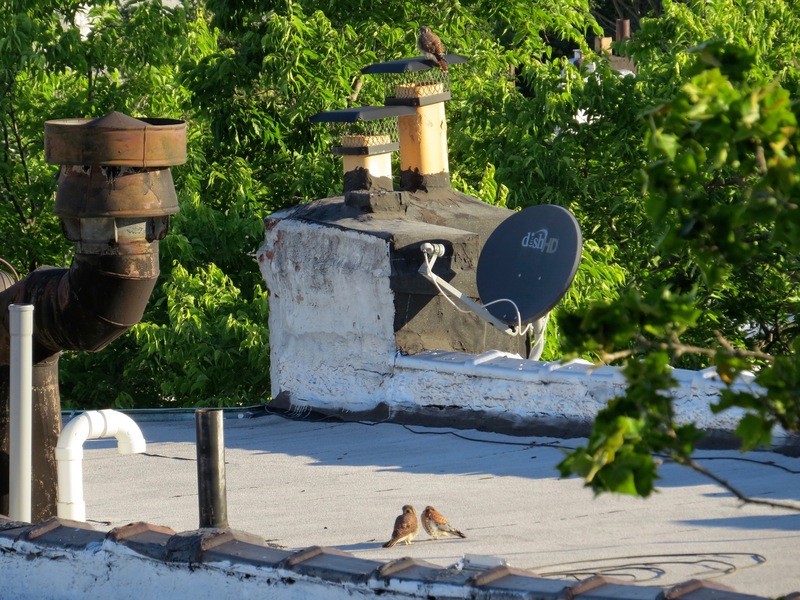 All the festooning paraphernalia of Brooklyn’s rooftops… As always, clicking on these images makes them larger. 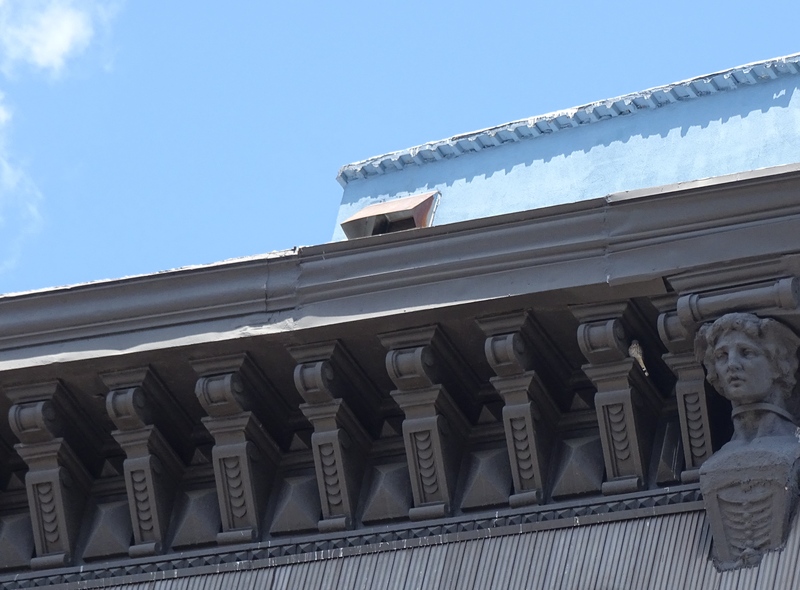 The roof lets them cheat: they can walk/hop on it. 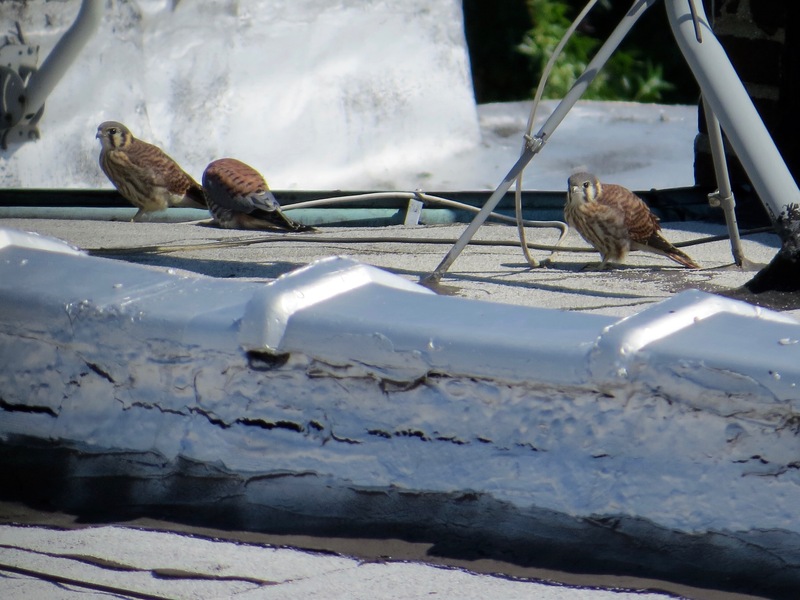 They can all fly — this is approximately a block from the ailanthus where they were mostly taking shelter last week — but they’re still learning the finer points of being airborne. 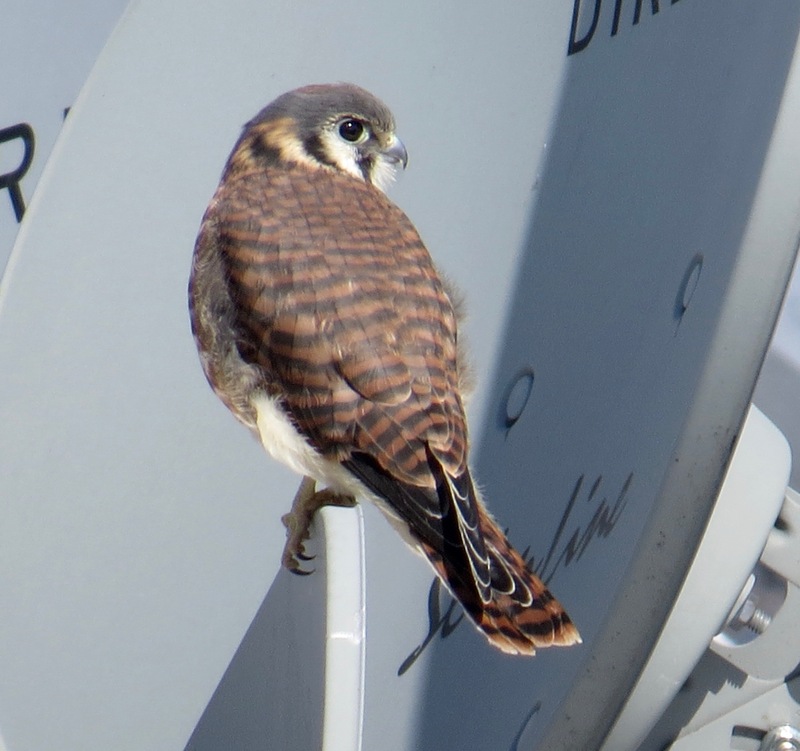 And landing. 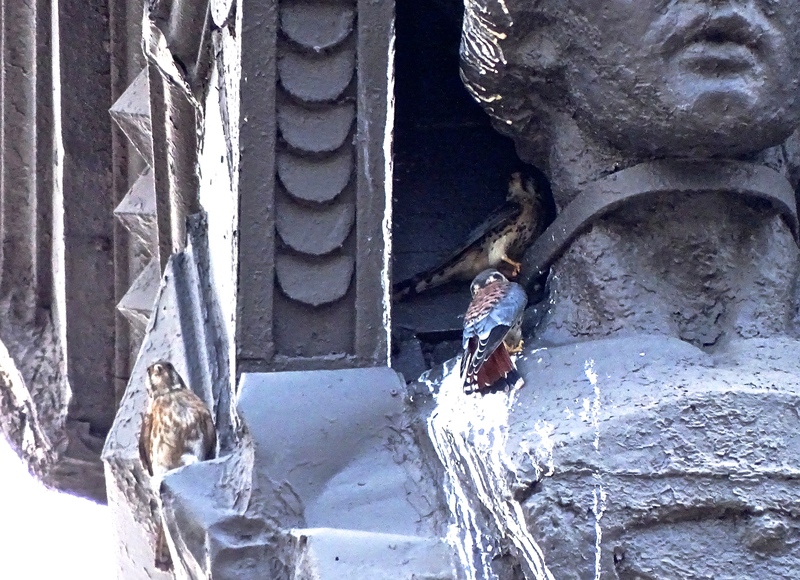 The male, in the middle, is actually sitting down. Have never seen that. The sisters. Sister and brother. It’s primary day here in New York, as well as Colorado, Oklahoma, Utah, and Maryland. Details on all. More details on primaries here in New York City. 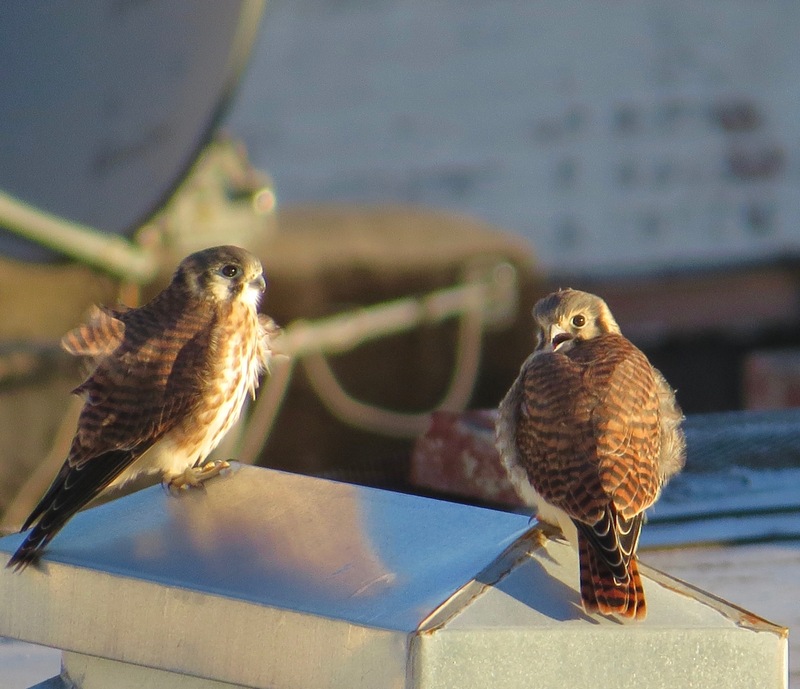 Bonus shots from the Friend of Falcons in Manhattan. 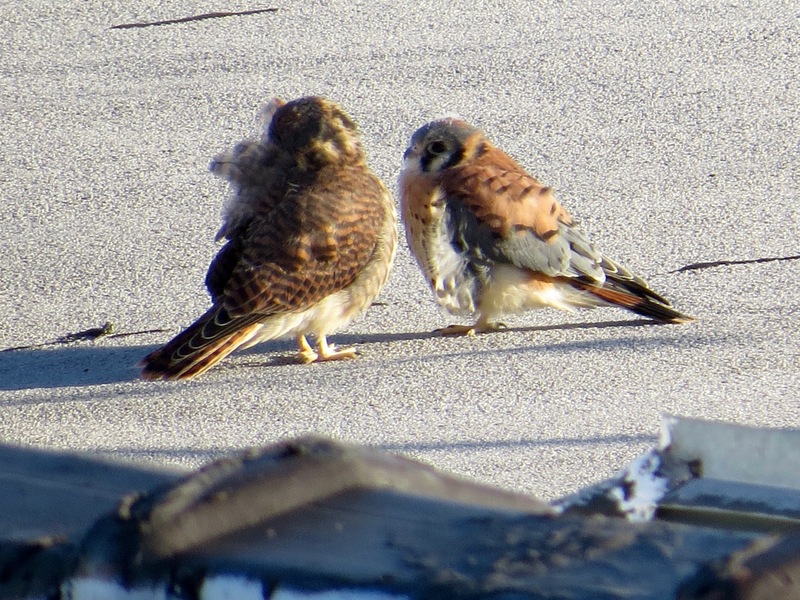 A male and female have successfully fledged.